There are certain tasks involved with leatherwork that are facilitated with the appropriate tools. 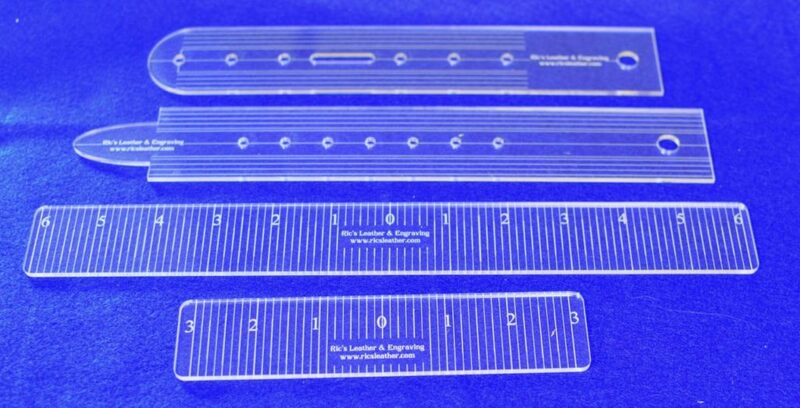 These templates and gauges made from acrylic were designed to help out with such tasks. 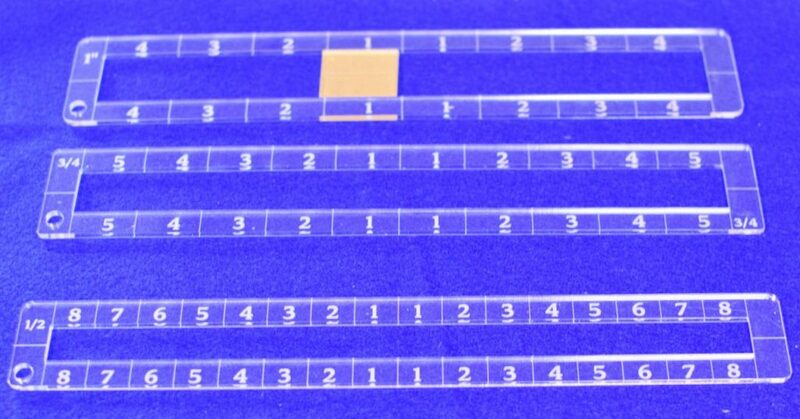 We can also make custom templates for you! Contact us to order! Peter Main is one of the leading leather artists. 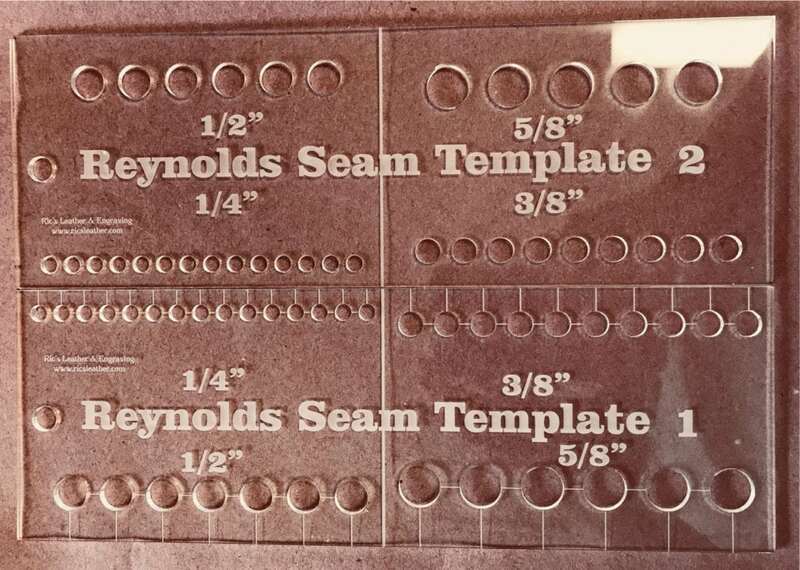 These three templates or gauges are based on his personal tools and designs and reproduced in acrylic with his permission. When adding a name or phrase to a project, it can be tricky to get the stamps centered and straight. 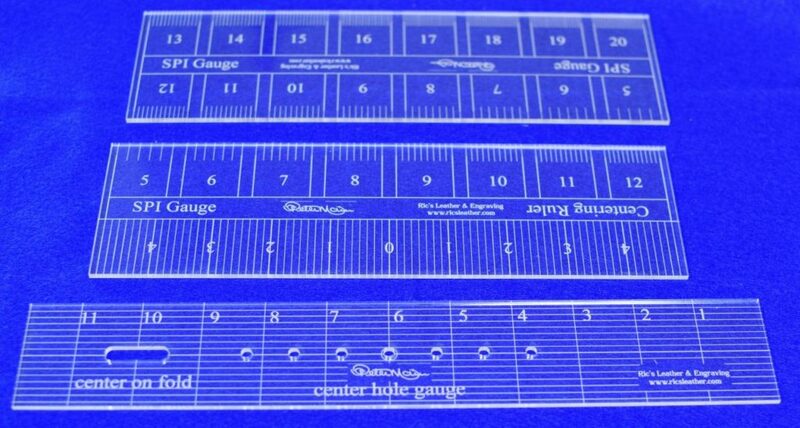 These guides, designed for 1/2″, 3/4″ or 1″ stamps solve this problem. Each guide comes with their corresponding blocks (one shown in the 1″ guide) that allow you to continue your layout when you use the same letter multiple times or you need to put a space between words. Each guide is $12.25 or get the set of three for $31.25. I have added guides for 1/4″ and 3/8″ alphabet stamps. Each of these are $10 each. A full set of the five guides is $50. Laying out a belt or trying to find the center of a piece to place a particular design element? These are what you need! 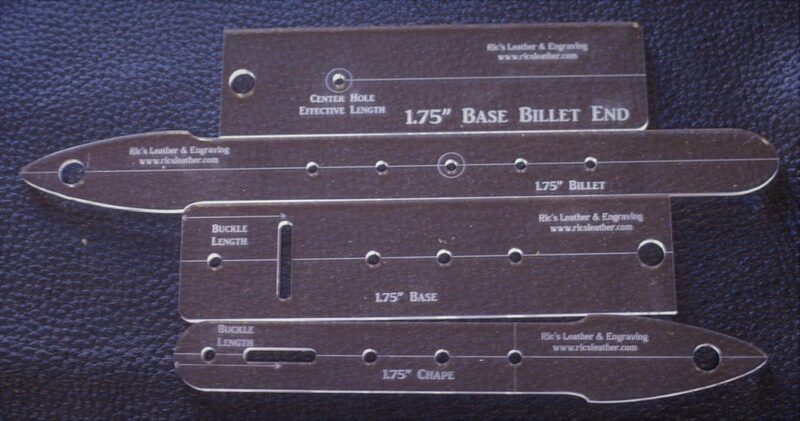 Belt Templates and Centering Rules The belt templates come in buckle ends with holes for either a single or double keeper, while the billet end comes with either 3/4″ or 1″ spacing for holes. The Ranger Belt Templates come in three sizes and consists of four different pieces. Designed to follow the Stohlman approach for laying out a Ranger Belt. Instructions included.